Discussion in 'How To' started by Mick West, Sep 2, 2014. I watch all videos at 1.5 now. For this to work you need to have the HTML5 player set up in your browser. 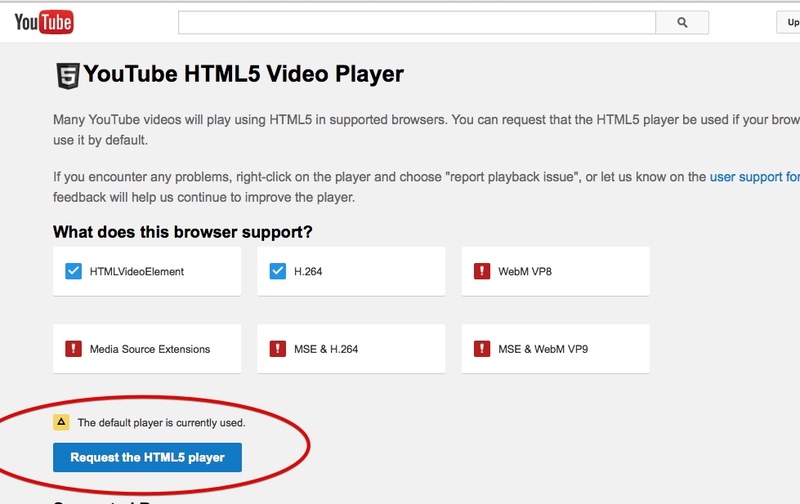 Go to the following page, and click on "Request the HTML5 Player"
Boo to YT; what are you thinking? 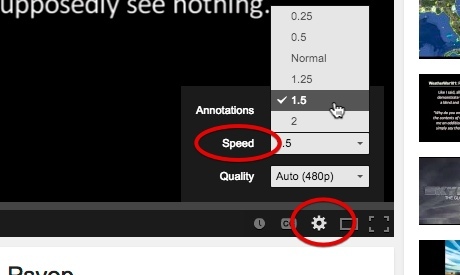 Did you mean the variable speed option on YT? AFAIK (and I often use the feature) it is available to those viewing from the U.S. Cannot speak for other viewing regions. FYI.....YT recently "changed" the choices....whereas it used to be 1 or +1.5 and +2.0. Now there are "intermediary speeds" of "+1.25" and "+1.75" (although, your speeds may vary! ). (ALSO.....0.25 and 0.50.......slooooowwwwwwww mooooootion......)....No, not "Moo-tion" (sorry, couldn't resist a very terrible joke, here! No cows were harmed in the creation of this joke). Did you mean the variable speed option on YT? AFAIK (and I often use the feature) it is available to those viewing from the U.S. It only works if you are using the HTML5 video viewer, not the Flash viewer. It should be doing that by default now if you use Chrome. Is that to save time? Edit: Dumb question maybe, probably the only logical reason. Not entirely, it also makes the videos easier to watch even if you have lots of time. A slow trickle of information just makes my brain shut down in frustration. And some people just speak annoyingly slow. Try it on this interview with William Gibson. His slightly slurred normal speech sounds vastly better at 1.5, even though the interviewer sounds a bit rapid. I don't have that option. Not available in the Netherlands I guess. But I get why you want to listen to this interview in 1.5 speed. I normally use Firefox, but I just downloaded Chrome and now Youtube has a speed option. So I'm going to play with that now, thanks. Would a convert flash to html video extension for your browser do the same thing? Does not sound very likely. I see this feature occur on my part only when i set youtube to html5 mode. This is soooooooooooo useful to me. I hate clicking on something and there is no article, just a YouTube video. And yes I am Type A.
Wow! What a great feature. Cool feature and time-stretching the audio instead of pitching it. Tried two browsers on ipad, both do not support it for this location. I guess I never get the time to watch that ten hour video of black screen. It is working now for me. The time-stretching of the audio sometimes makes it hard to understand at 1,5x speed. I really have to pay 1,5x times more attention to English and German. For Dutch language it's alright. Now when people accuse me of replying to quickly in a thread and not watching 2,5 hours of 'undeniable proof' from beginning to end, I can blame it on the speed control.